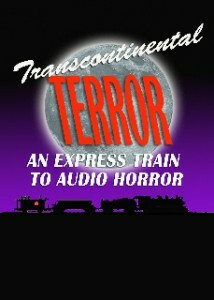 Part 1 of 6 of the Transcontinental Terror live streaming Halloween Horror Event. The award-winning Wireless Theatre Company launched in 2007 and quickly established itself as one of the most well-respected audio companies on the internet, producing allfree, original audio drama, comedy, stories, poems, sketches and more for download to iPods. WTC have worked with hundreds of people in four years, including much-loved radio performers and writers such as Prunella Scales, Timothy West, Nicholas Parsons (Patron), Julian Glover, Richard O’Brien and Ray Galton. WTC realizes one new production a month, as well as several live audio recordings a year. WTC also creates audio horror productions with www.3Dhorrorfi.com using binarual recording techniques for 3D sound. Visit www.wirelesstheatrecompany.co.uk for free audio productions.